Sharp Shooter Keychains,It is like 3 devices in one! Titano Shooter EDC Keychain It's back by popular demand! For a limited time only! Announcement My name is Robert Moran, and I’m the creator of the Patented Sharp Shooter Keychain. It is like 3 devices in one tiny keychain. Check out our hand made para cord products. 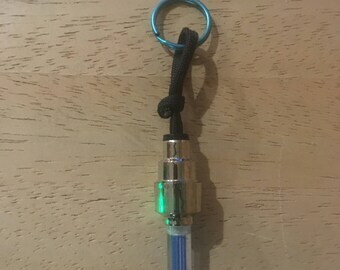 My survival keychain is environmentally friendly because it uses no harmful sprays and no electricity like other products. I wanted to give my friends and family an out, if they ever were faced with immediate need to survive. I’m not naive enough to think that my loved ones will be safe no matter what. I know that violence can and does happen to people who aren't looking for it, and don’t “deserve it”. Support women's rights to be and feel safe. All the woman if my life are special. My wife, mom, daughters, sisters ,cousins, my students and friends. You are special too and I want you safe. Now you can own the Sharp Shooter Keychain with the peace of mind knowing that at any time, and at any place, you and your family are more than capable of survival. My name is Robert Moran, and I’m the creator of the Patented Sharp Shooter Keychain. It is like 3 devices in one tiny keychain. Check out our hand made para cord products. 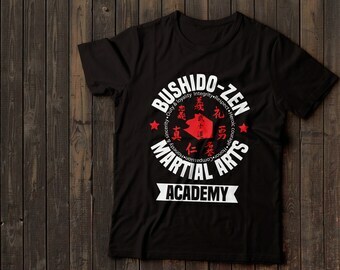 Great Gift For The Martial Artist In Your Life. 12 DVD Set Pressure point self defense step by step easy to learn system. I like how easy it can be used once you watch your video. Keep up the good work. Great product! Everybody should have one. Hi I am Grand master Moran I Am Here To Share My Best Patented Products with You on Etsy! I wanted to give my friends and family an out, if they ever were faced with immediate need to survive. I’m not naive enough to think that my loved ones will be safe no matter what. I know that violence can and does happen to people who aren't looking for it, and don’t “deserve it”. Now you can own the Sharp Shooter Keychain with the peace of mind knowing that at any time, and at any place, you are more than capable of survival. 1) The Sharp Shooter Keychain – The most subtly powerful survival device you can take with you practically anywhere you go. A 10th Degree Black Belt and the Inventor of the Patented Sharp Shooter keychain. He has over 46 years of training in the martial arts. Master Moran can be seen on the cover of Filipino martial arts magazine vol 1 no. 5. L.P.M. Hall of fame 1998. Our return policy is simple. If an item arrives that is not what you expected, you can return it within 15 days. (The refund will not include shipping charges). To return an item, e-mail Us at bushido_zen [!at] yahoo.com and request a Return Authorization (RMA) number for return. You will be responsible for shipping back the unwanted item. The item must be returned in the condition it was received and in its original packaging. This will insure prompt credit to your account. If an item is damaged or shipped to you in error you can Email us or call us at 617-489-4025 to receive a Return Authorization (RMA) number for return. Once processed you will be sent a replacement product or given a refund for the wrong product.